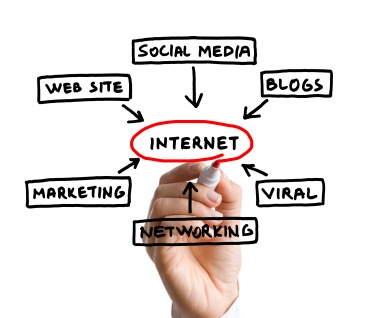 Your online marketing strategy is an integral part of your online business. Whether you operate solely on the web or do most of your business in the offline world, building a solid online marketing strategy is extremely important. Consumers can gather quite a bit of information on the web. That information is often used to decide what to purchase and where to find it. Even if you do not sell anything on the internet, you can still offer up valuable information that could convince someone to make a purchase offline. Many online resources also supply businesses with a unique opportunity to interact with their customers. There are many good reasons to create an online marketing strategy, so lets’ talk about how to perfect it. Budget requirements are one of the first things you will most likely look at when planning your online marketing strategy. You need a marketing plan that will work with your budget so your company stays where it needs to be to survive financially. The problem is that some business owners plan their budget then just let it go from there on out. You need to regularly review your budget and let it grow as your internet marketing methods bring in more profits. Also pay close attention to which methods you are investing in. Some may be more lucrative and should receive a greater portion of the budget than others. This may change over time as trends and other factors impact each campaign. Pay close attention so you know when to add more funds or take some away for maximum return on your investment. Every website and blog your business maintains is another portal to draw in new visitors. Those visitors could quickly become paying customers. They could also pass your information along to others who could also become customers. A website that hasn’t been updated will look neglected and could deter potential customers from sticking around for very long. Web crawlers will also not return to your website unless you have something fresh and original for them to index. Set up a regular update schedule and stick with it. Part of your online marketing strategy should include creating a profile on a social networking site (or more than one). 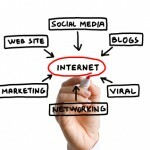 These sites are great marketing tools because you can actually interact with your customers and followers. Make sure you take full advantage of this feature by participating in thread discussions and inquiries made on your profile. Each interaction gives you a chance to provide excellent, quick service and show the human side of your company. Your followers will appreciate it and be far more likely to become long term customers when you play an active role in the social networking part of your online marketing strategy.